Puzzle games are great at giving your brain a workout while keeping things fun and killing time. They stimulate your head as you strategize and plan your next move, whether it's to keep your character from getting killed, or to get that special item to finally complete your collection and unlock a new feature within the game. Both the iOS App Store and Google Play are crammed with puzzle games. They are a great way to kill time and exercise your brain in one fell swoop. They challenge you to think strategically and plan ahead, whether that's to create killer chain combinations for maximum points, or to plain old keep you from the game over screen. Fell Over is a physics-based puzzle game developed for iOS and Android devices that will test the limits of your logic skills and patience. The player has to tap the blocks and remove them, so the ball can move downhill to the base. The player taps the blocks - until the ball is safe on the ground. 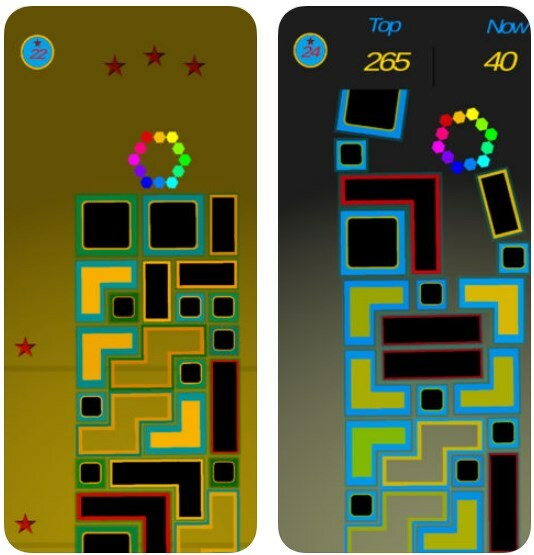 The game has 99 levels you can test your skills with. It is simple in its design and gameplay but highly addictive and challenging. Fell Over is an amazing brain teaser puzzle game! Fell Over is modest in design, with exciting colors, pleasant sound effects and music. The levels of the game get gradually tougher as you advance to the higher ones. In the challenge mode you can assess your skills against your friends and other players. You can challenge yourself in different ways, you can play against yourself, trying to beat your own best scores, or you can try to beat the scores of your friends and other players. Fell Over is available for free at the Google Play Store and the App Store.